China just revealed their full-scale model of the Tiangong Space Station -- an international space laboratory which would replace the ISS. China just showed the world that it’s upping its space exploration game with the introduction of the Tiangong Space Station. 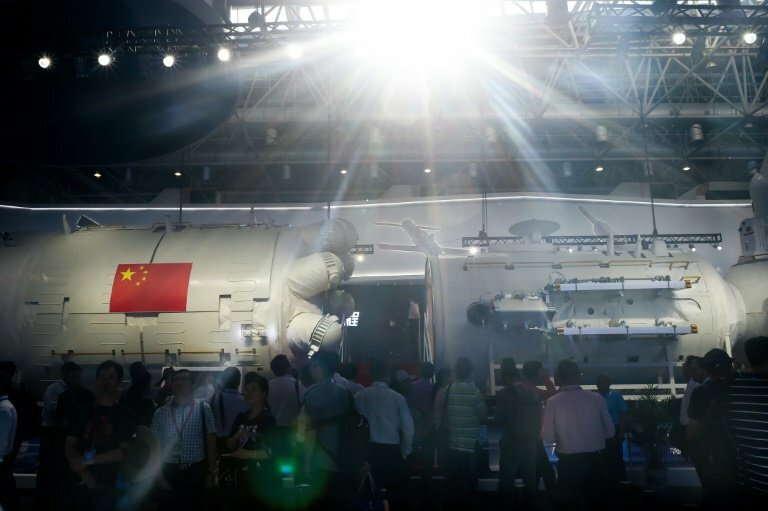 On Tuesday, China publicly introduced a life-sized replica of the Tiangong Space Station, the country’s first permanently crewed future space laboratory. The Tiangong, meaning “Heavenly Palace” in English, could reportedly replace the International Space Station in 2024. Several international space agencies launched the main module and first components of the ISS into space over two decades ago. Since then, scientists and astronauts have manned the Earth-orbiting laboratory. At the moment, the station is the only operational space laboratory in orbit. However, China’s future space station is about to change everything. The 55-foot long core module was put on display at the country’s leading aerospace industry exhibition, the Airshow China, in the southern coastal city of Zhuhai. Aside from the Tiangong Space Station’s cylindrical main module, it would also have two other modules for conducting scientific experiments. The 60-ton orbiting lab could house three astronauts, allowing them to perform biological and microgravity research. Chinese authorities aim to complete the assembly of the space station by 2022 with a projected lifespan of around ten years. China announced earlier this year that they would allow other countries to conduct experiments on-board Tiangong. “There is no doubt that China will use its station in a similar way as the ISS partners are using their outpost: research, technology and as a stepping-stone for deep-space exploration,” Chen Lan, an analyst from the GoTaikonauts.com, was quoted as saying. China has already invited distinguished universities, research institutes, and both public and private companies to propose possible projects. The country’s state media reported that China had received around 40 plans from 27 countries and regions. The European Space Agency has also sent astronauts to China to prepare to work inside the Tiangong Space Station. Should NASA invest in the creation of another space station or just rely on the future Tiangong Space Station?